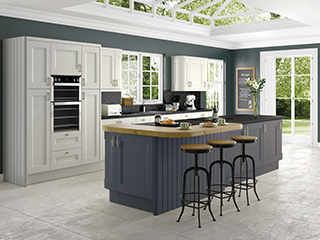 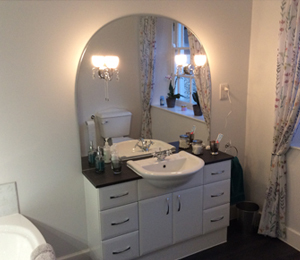 Here at KitchenWorld, not only do we design and install kitchens, we will also work with you to create the dream bathroom you have always wanted and make it a reality. 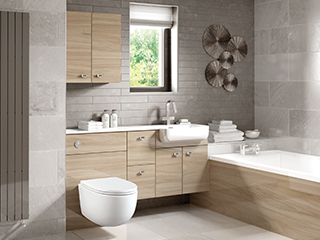 We have a large variety of stock for you yo choose from so visit our showroom today. 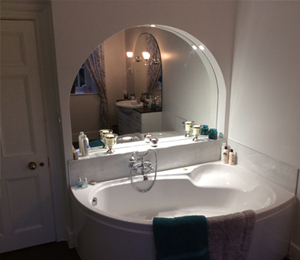 For this project we designed a new bathroom for our client, including a new bath, shower and sink area in the design. 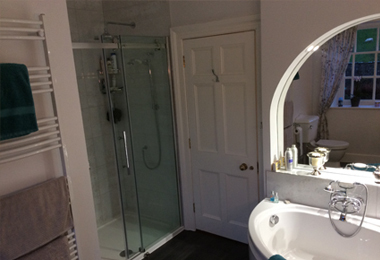 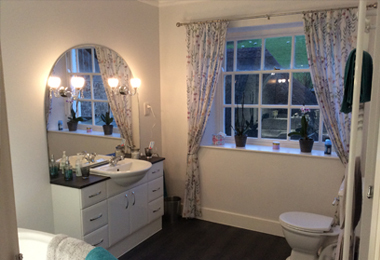 We were able to design and install this simple bathroom with confidence that our customer would like it as we involve our clients throughout the design and installation process so they know what to expect.